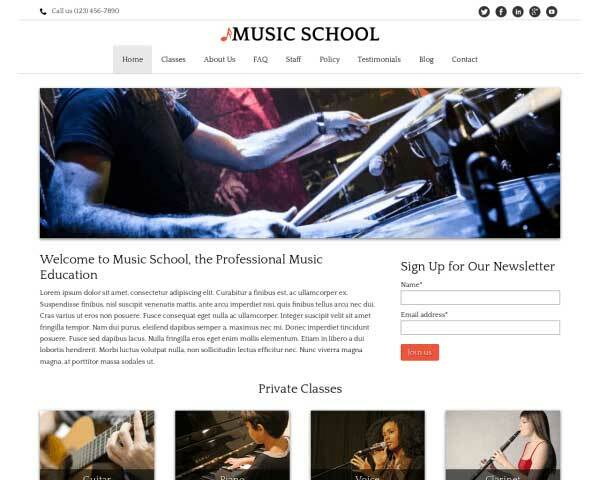 Expand your reach and attract new students with a professional website built with the Tutoring WordPress theme. This pre-built website template includes all the important pages and features already in place and ready for your own text and photos! Students and parents count on you to teach them and help them improve their performance. 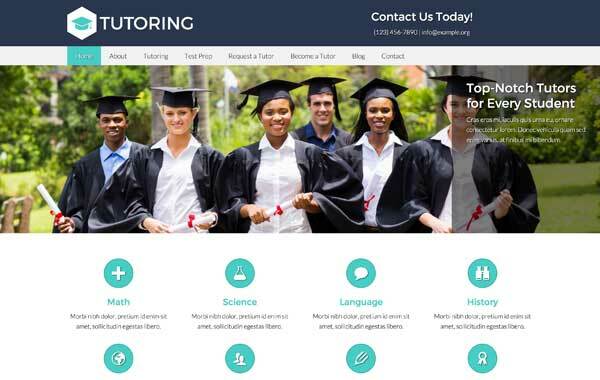 The Tutoring WordPress theme is designed to help you present your tutoring services with a professional website that convinces visitors of your friendly and knowledgeable instruction. 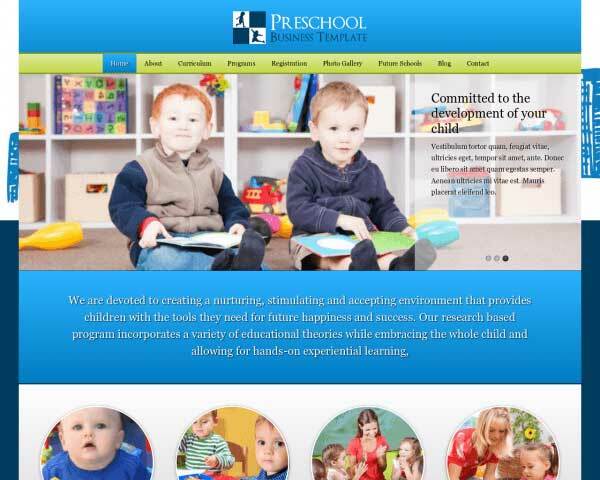 The homepage is designed with an eye-catching photo slider and quick navigation to more information about each of the subjects you offer. We’ve included pages already set up for testimonials, FAQs, payment methods and more. You can easily change the color scheme and style text using our visual front-end editor. No coding is required so it’s simple to add in your own content and personalize the look and feel of your site even if you’ve never built a website before. 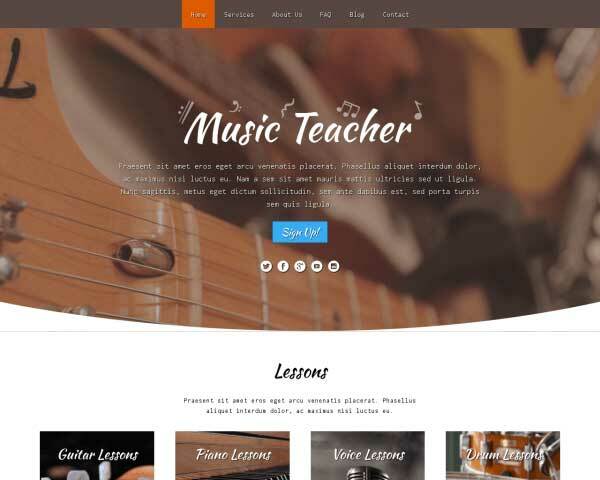 This pre-built website template for tutors includes premium features like customizable contact forms, integrated social media, lightbox image galleries, responsive video widgets and so much more. Whether you’re a tutor who’s just starting a new business or a learning center who wants to expand your reach, the Tutoring WordPress theme can help you attract new students so you can help them create a brighter future. Focused on delivering content the best way possible, the Tutoring WordPress Theme is built to help you generate relevant traffic to your site by easily adding blog posts on a regular basis. 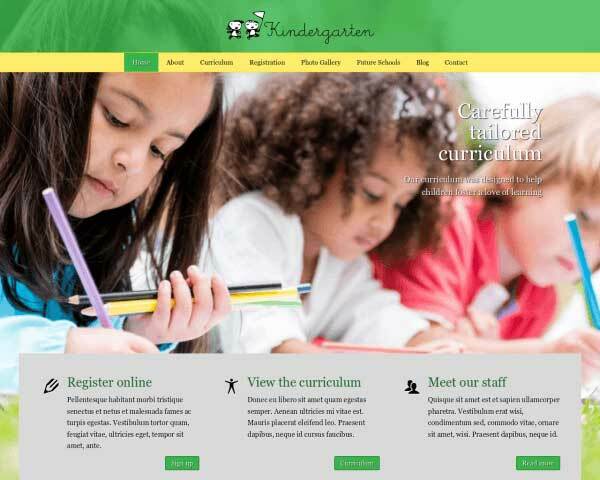 This Tutoring WordPress Theme designed specifically for education specialists. It includes all likely features your business needs and ensures you are up and running in no-time. Highly visible call-to-actions on nearly every page of the Tutoring WordPress Theme encourage visitors to contact and makes it easy for them to do it! Showcase your favorite photos on your homepage with the Tutoring WordPress Theme's classic image slider. A detailed contact form let's possible clients get into contact with you. 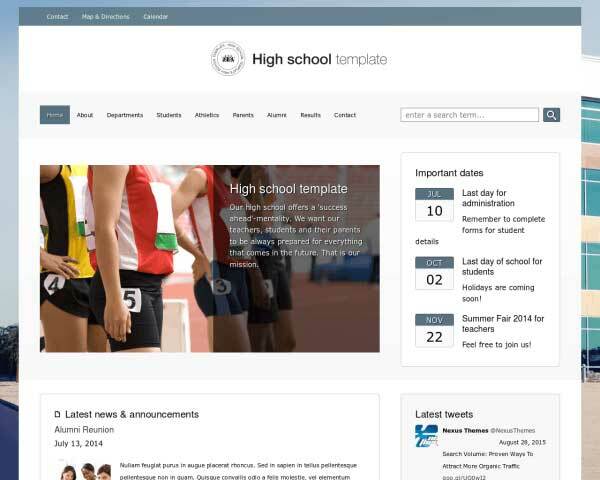 You can easily update and expand on the initial layout of the form. Designed with clear distinctions between the questions and answers, the Tutoring WordPress Theme's FAQ page is ready to be filled with your most frequently asked Qs and As. 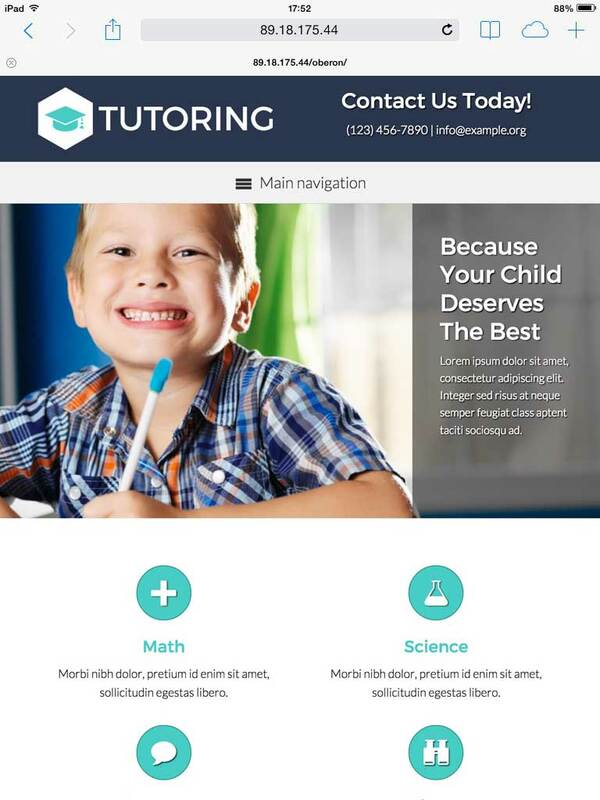 The Tutoring WordPress Theme comes pre-populated with service pages designed to suit the needs of tutors. Simply replace the default content and that's it! 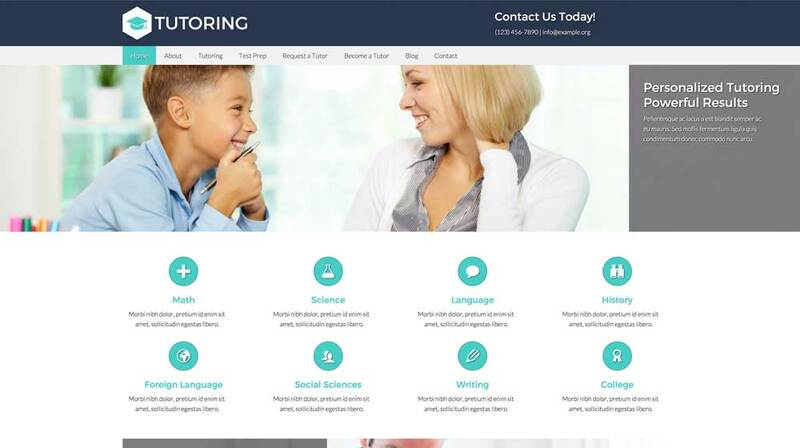 The homepage of the Tutoring WordPress Theme features an attractive overview of your most popular services, offering visitors quick navigation to more details about each service. The Tutoring WordPress Theme features attractive icons for the most popular social media platforms, allowing visitors to easily follow you online or share your content on their own pages. Clients will be curious to learn about your team of tutors before trusting you. Introduce your staff with a photo and short bio on the about page of the Tutoring WordPress Theme. Help new customers make up their minds by sharing reviews from existing clients. Just replace the text and the Tutoring WordPress Theme will style your quotes in this format. 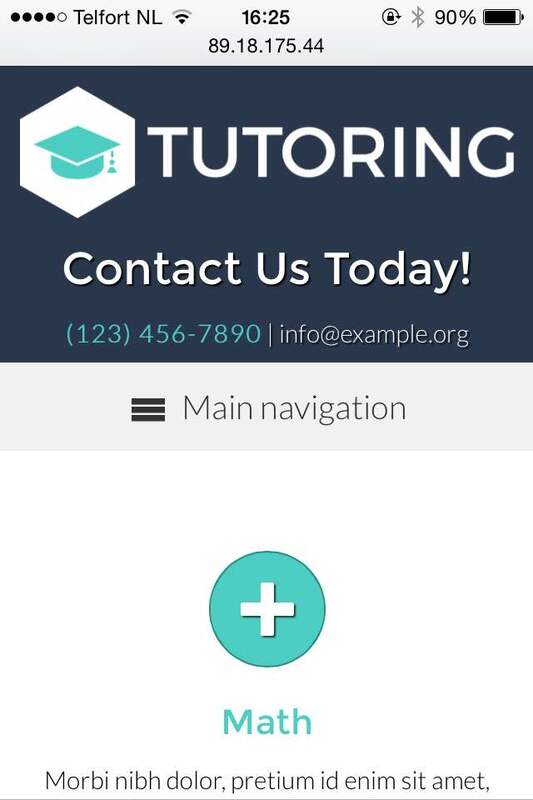 Make sure that your new website will look great and work perfectly on all smartphones and tablets when you start with the responsive Tutoring WordPress theme. No plugins, coding or extra effort are required! Our mobile-optimized design is built to automatically adjust the layout of your content to display neatly at any screen size, offering all visitors the same professional look, functionality and user-friendly navigation of the desktop version. Mobile visitors can simply tap your phone number to dial or tap your email to send you a message. It's quite simple. 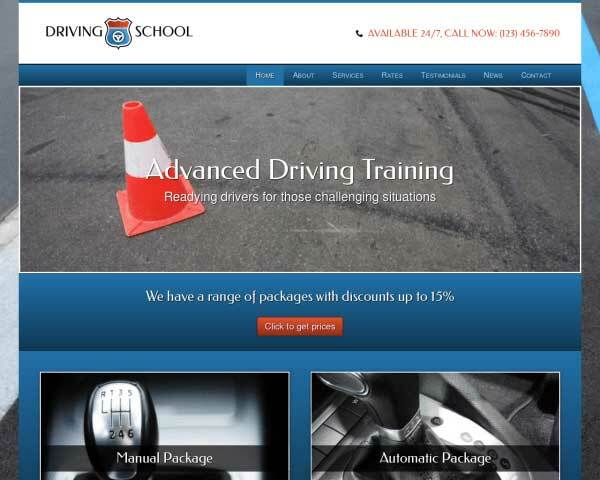 We do that with the best web designs in the world and a proven track record in getting conversions. More leads, more sales, more business growth, period! Each product has as its context a business oriented goal, not some generic design. We don't think you're a marketing- copywriting- and / or web design expert. That's our job. We take away technical hurdles instead of forcing you to hire an expensive expert.